Just imagine you enjoy running. You run a few days every week around the neighbourhood. You think it is a great run, but may be you are not crushing it as you should be. You want to run faster but for that you need to go farther. What should you do? It is time to hit the hills. Hills are an athlete’s goal post. If you want to improve speed, run for the hills. It is the most efficient and effective practice on undulating terrain. You are forced to run in an exaggerated fashion so it helps improve your mechanics. You learn to run tall with the chin leading your chest and a lean at your ankles. You will need to pump your arms harder and push your knees higher than you feel like. Keep control of your breathing throughout hill running, and stay light on the feet. And land on the forefoot if you need. If you find you don’t have a set of hills close by, you can always opt for the hill-like treadmill. Let’s start with a 10 minute hill workout. Start with a warm-up and settle into a steady pace. The first set of hills should not be a sprint but a slow glide; then began the grind. The second set of hills should be quicker paced, for instance, the run should be short and fast. Now, moving onto the 20 minute hill workout; this is like running a real race. You have to keep going in this workout. You don’t run to the top and sit down for a short break. You have to keep going, pushing yourself forward. This workout trains the mind to continue to push on once you reach the top of the hill. Next, you are at 30 minutes on the hill workout. 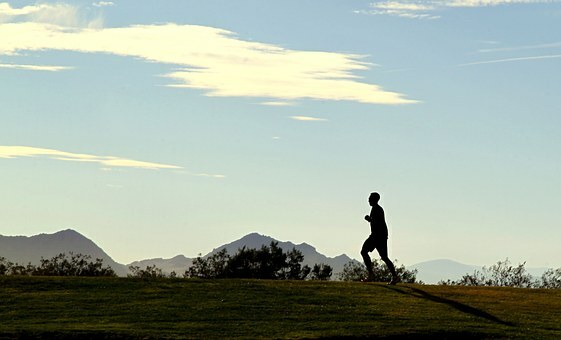 A personal trainer will tell you anytime that the best outdoor exercise is to practice running. Now you have reached downhill running. This is a tricky sort of running. You believe it will be less challenging, but this is not the case. Don’t think about the pace you need to run at downhill, just concentrate on using an easy jog. Stay light on the feet and avoid leaning backward. It is like going dancing down the hill.